Robert Long claims his birthright – the designs of the father he never knew. Published on Friday, May 11, 2018. This article appears in the April/May 2018 issue of American Craft Magazine. Jackson Accent Lamps, 2016, copper tube, polished or oxidized finishes, 9 x 4 in. dia. ea. In 1994, Robert Long was in his early 20s and selling commercial business insurance in Charleston, South Carolina, when a cousin sent him a box of memorabilia. “I was sorting through it and I saw my father’s [lighting] catalogues from the early ’60s. The very first one looked like a high school report, with Polaroid pictures and type on the front page,” Long says. But seeing the entire body of his father’s midcentury-modern designs struck a chord; Long was especially taken with his father’s marriage of traditional and contemporary aesthetics. “ ‘Wow,’ I thought, ‘this would be really interesting to reproduce.’ I had the sense that I’d do it on a lark someday, if I made a lot of money doing something else.” Then he put the notion aside for more than a decade. 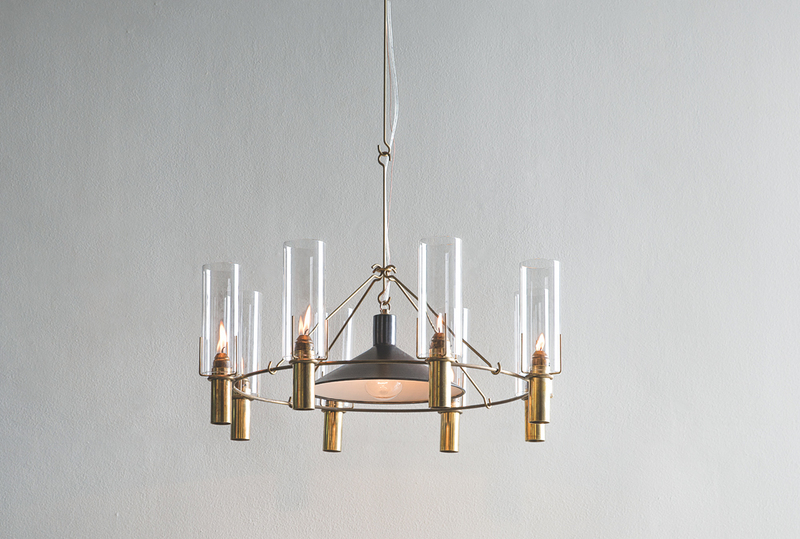 Robert Long’s lighting, such as his Oliver Chandelier with Reflector (2016), updates his father’s classic style with modern flourishes and materials. 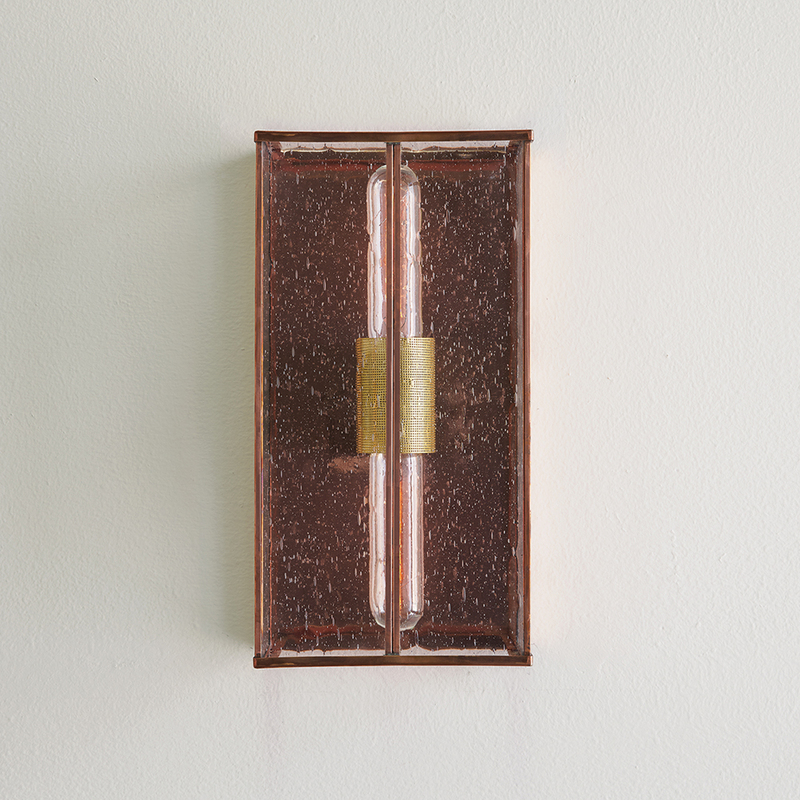 Ruby Wall Bracket in Polished Copper, 2015, brass, glass, copper, 12 x 6 x 3.25 in. 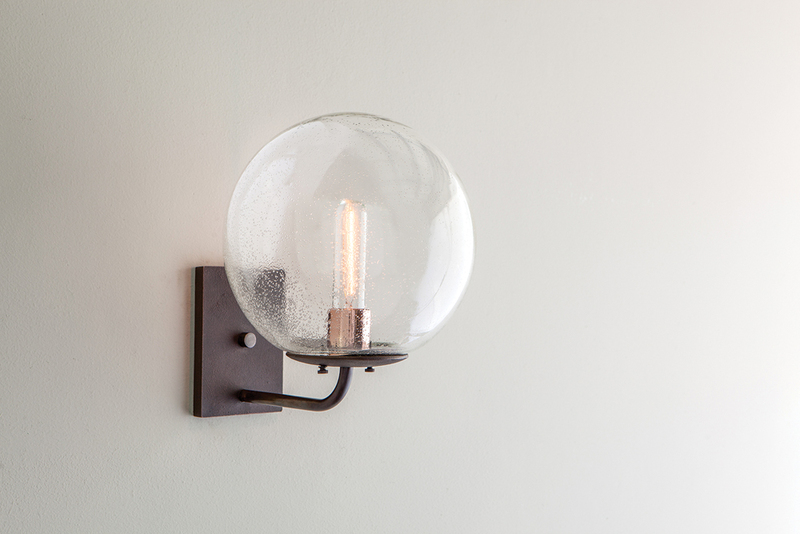 Cooper Sconce, 2014, handblown glass, brass, copper, 12.5 x 12 x 12 in. 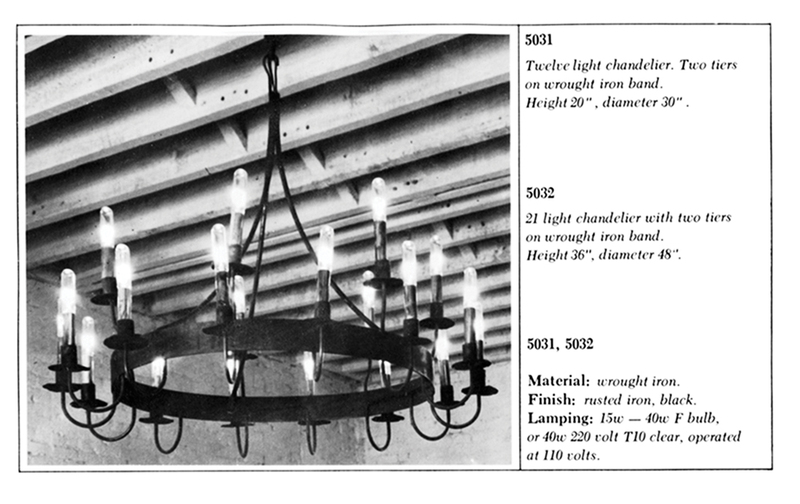 This catalogue photo for Long’s father’s 5031 Chandelier (1967) illustrate the original company’s blend of traditional and midcentury styles. 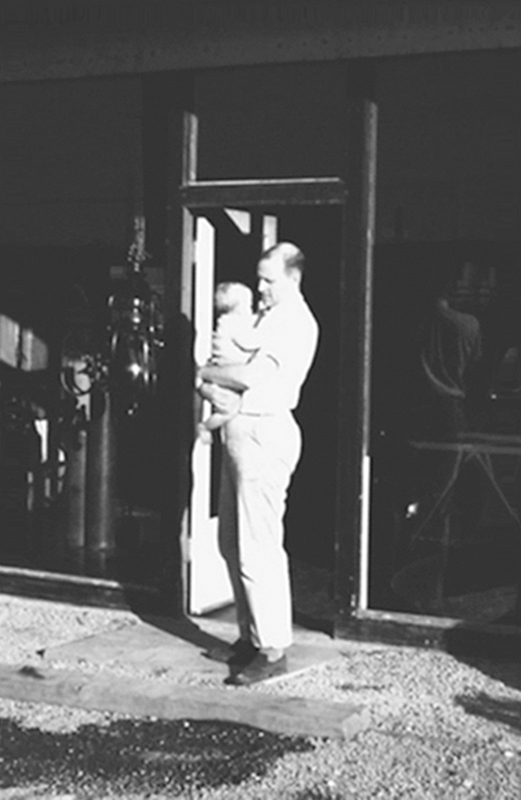 Robert Long lost his parents at an early age, but when he received a box of his father’s old lighting catalogues, it ignited a passion. 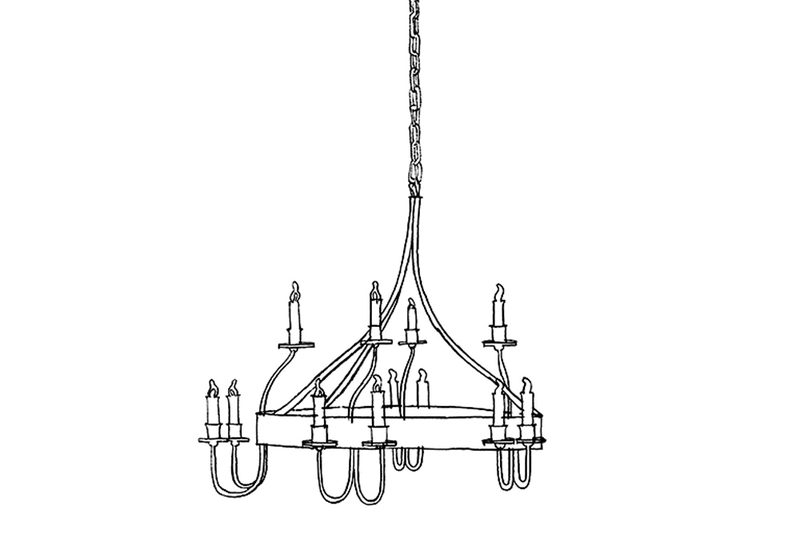 A diagram of Long’s father’s 5031 Chandelier. In 2005, Long returned to the Bay Area for a graduate degree in counseling psychology. He felt pulled toward his past and visited where his parents had lived, worshipped, and worked, and met people who had known them. He was even given a Robert Long Lighting chandelier made after his father died. Long also returned to his dormant idea of reviving the business, discussing the particulars with an uncle. “He wrote a list of what we’d talked about and said, ‘Here, I started it. You finish it,’ ” recalls Long, who decided to revive Robert Long Lighting – neither on a lark nor with a fortune. Although he had no background in lighting, Long had an artistic eye and knew his way around tools. “I spent a lot of my youth with my aunt, who had a penchant for English furniture and decorating,” he says. “I was her muscle. I’d stay up late moving furniture around. That helped hone my eye for design.” From his grandfather, who had a woodshop, Long learned to make and fix things, skills he later used to restore several Georgian houses in Charleston. He first digitized the catalogues so he could easily show them to interior designers and see whether they thought the work was marketable. They did. A connection with the developer of the Dewberry Charleston hotel resulted in his first request. Admittedly “clueless,” Long quickly connected with one of his father’s former coworkers and eventually several original vendors, many of them run by subsequent generations, such as Davis-Lynch Glass in West Virginia, which blows glass for the fixtures. Long says he didn’t inherit all his father’s skills but has found his own way through trial and error, YouTube videos, and “hanging out in my own shop.” During the day, Long attends to sales and marketing; in the evening, after his fabricators have gone home – he likes to hire local craftspeople – he works in the shop for several hours, which is across from his father’s original studio in Sausalito.